Day three of the United States government shut-down, and the public wasn't buying the official announcement that the giant sequoias in the Yosemite National Park "weren't available for viewing, today." Really? Those magnificent trees that have stood since before there was a United States, before there were colonies, and even before there was a bloody king of England, are taking a break. The National Park Service told us there is no Grand Canyon and no Redwoods too. Please. Some things that were here before there was a U.S. Federal Government will still be here millennia after there is no more United States. 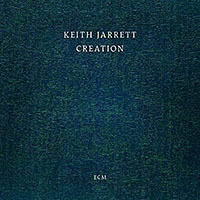 Speaking of things eternal, the trio of pianist Keith Jarrett, bassist Gary Peacock, and drummer Jack DeJohnette mark 30 years playing standards together with a brief West Coast tourLos Angeles, Seattle, and the final night in Berkeley, at Zellerbach Auditorium on the University of California campus. 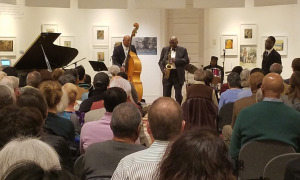 Presented in Berkeley by Cal Performances, the trio was warmly received by a packed house of 2,000 knowledgeable enthusiasts. Arriving the same weekend as the Cal football team who was hosting Washington State, Jarrett told the crowd to forgive him, "But I'm trying to get the marching band out of my head." That jocular mood, not noted as a trait of the persnickety pianist, relaxed the audience, and set the tone for the evening. 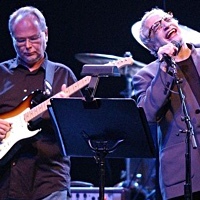 The trio's 'brand' is a combination of improvisation and interplay. Jarrett, who generally works without a set list and does not call out the tunes, began most pieces unaccompanied. Peacock and DeJohnette joined in from musical cues honed from years of familiarity. The nonchalant theme of the night persisted. Jarrett was in the mood for bluesy swing and bits of funkiness, opening with John Lewis' "Django," followed by some hyper-speed bebop. 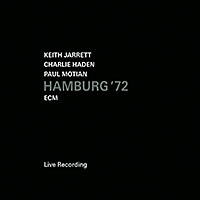 Their standards included the non-jazz standard "Fever," which, in their hands, was transformed into an intricate chamber piece with Jarrett reconfiguring the music into a complex piece of origami. 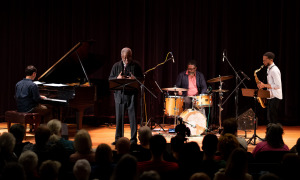 DeJohnette was content to accompany the pianist with the smallest of gestures. Rarely taking a loud solo, he manipulated time and his patterns with a wrist flick and brush work that painted his cymbals. The audience was keenly aware that these three fellows were enjoying themselves, as Gary Peacock seemed unable to suppress his smile throughout. Whether they were pulling music from bebop, Broadway, or Berkeley itself, their ritual music making transformed each song into a mini-masterpiece. This 30-years celebration brings to mind another anniversary, that of Mick Jagger, Keith Richards and Charlie Watts touring for their fiftieth year. 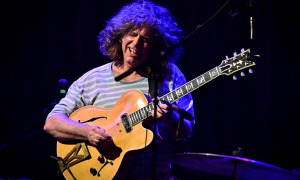 Unlike the British rockers, Jarrett, Peacock, and DeJohnette are not tasked with playing the same old hits. Unless, of course drawing from hundreds (maybe a thousand) standards is the same oldsame old. 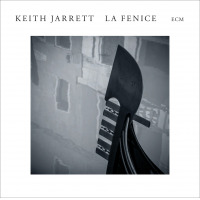 Jarrett's "G Blues" began in an off-centered manner, the pianist pushing odd angles against Peacock and DeJohnette. 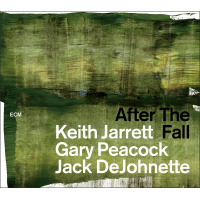 After he stood to towel off, DeJohnette pulled the music back to center, balancing the music out. 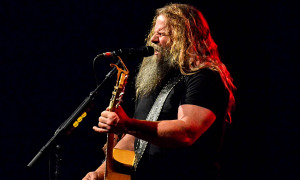 Unlike most trios, the ballads are not simply filler between the hits. With the Standards Trio, they are what the crowd came for. Covering "You've Changed," Peacock took a singing solo that left Jarrett (and the audience) beaming. His expressive bass soloes this evening rivaled the pianist's deft touch. The trio might have saved the best for last. Called back for two encores, first they covered "When I Fall In Love" with DeJohnette accompanying on cymbals only and Billie Holiday's "God Bless The Child." 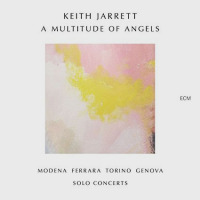 The songs were edge-of-your-seat listening, Jarrett holding the crowd in an ecstatic spellbound state. Like the giant sequoias of California, their music was timeless, and the three musicians made the argument that they too, might outlast the government.